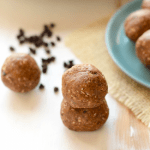 Need a post workout snack that’s made with real ingredients and loaded with protein? 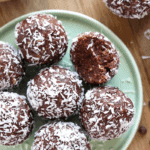 Make these high-protein mint chip energy balls for a guilt-free treat! I don’t want this week to end. EVER. I almost told myself I was sick of making balls, but then I realized I wasn’t and just needed a 5 minute break from the food processor. Over the past few weeks I’ve been attempting to limit myself to 2 balls a day, but sometimes that’s been a HUGE fail. AKA I don’t want to make dinner, so I shall just eat balls. base. 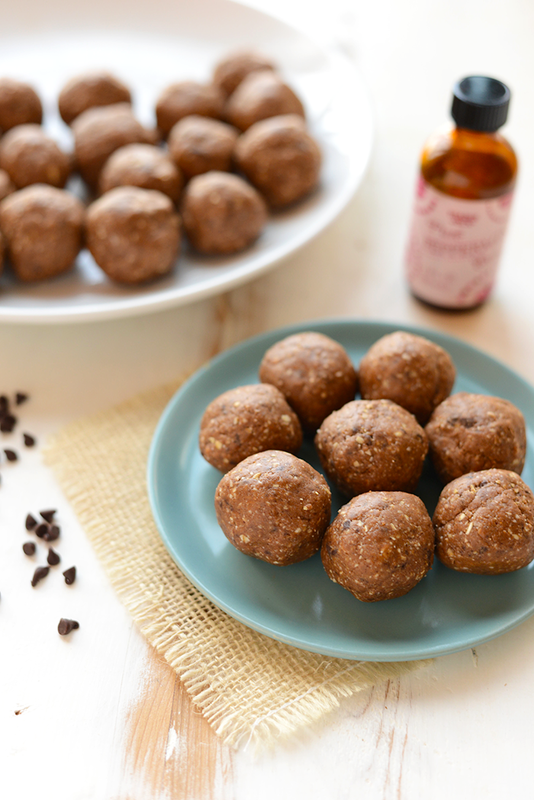 There’s no dates involved, but lots of chocolate and protein! Based Chocolate Protein Powder for this. 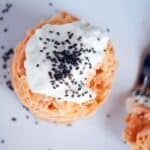 Since this is a no-bake recipe, I’m going to say that any kind of protein powder will work, but don’t quote me! Each protein powder is different, meaning that the absorption rate is different. You may need to add more oat flour or more almond butter depending on the kind of protein powder you use! Also, each protein powder has a different amount of added sweetener, so just be mindful of that, as well. Place cashews and rolled oats in a high-power food processor. Process on high for about a minute or until everything is finely ground. Next, add in protein powder and cocoa powder and mix for 20 seconds. Add wet ingredients and mix on high for about a minute or until dough is formed. Finally, add in mini chocolate chips and pulse to mix together. 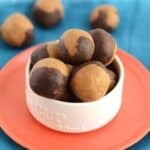 Scoop out a heaping tablespoon of dough into your palms and roll to create your balls. Repeat.